For numerous casino lovers, Argo Casino is the new definition of perfect gambling experience. Since it was launched, in 2014, Argo strived to become one of the top Bitcoin casinos on the market. So did they do it? Short answer, yes. However, if you want a more in-depth analysis and information about their features, read our Argo Casino review and all your queries will be answered. Argo Casino has one of the most versatile game selections. At this spot, you can enjoy numerous retro games that will take you back in time. Games like Wheel of Fortune, Joker, Book of Aztec, Always Fruits, Cash Clams, Lucky Bells and so on, feature old-school graphics and gameplay with modern aspect-ratios and features. In addition to these, there are incredible live, table, and casual games. But Argo Casino online features don’t stop here. Besides offering a genuine casino experience, Argo also features a comprehensive sportsbook. You can place bets on hundreds of sports events and leagues, including the standard ones like football, basketball, and baseball, as well as on some obscure ones like e-sports, army games, politics, and so on. Just like its game selection, the casino features a wide variety of promotions, including Argo Casino NDB (no deposit bonus) and match deposit offers, weekly rewards, loyalty schemes, and much, much more. After all, everybody would like to spice up their gameplay with one or more Argo Casino no deposit bonus codes. So what offers are currently active on Argo’s website? 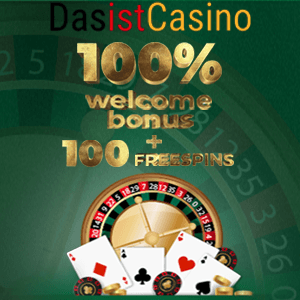 First, you can claim a 100% welcome bonus up to €200. Just an FYI, this offer is only available for new players. On the other hand, all players can make use of the Night Party Bonus, which gives a 50% increase to your deposits after midnight and until 5 am. Furthermore, there is a 30% Weekly Reload and Hot Weekend in ArgoCasino bonus, as well as a loyalty program, which offers all kinds of rewards. And the best part? These offers don’t require an Argo Casino promo code. Simply, log in and claim any of them. Despite having a whole section of retro games, Argo is actually a modern gambling platform. They feature clean and intuitive UX/UI, as well as a fully responsive website. However, even if you don’t like the design, you’ll have a hard time finding performance flaws. But most importantly, all games run flawlessly on all platforms and they load up quickly, even on a slower internet connection. Also, the site is optimized to provide smooth performance on smartphones and tablets. Plus, you can download an Argo Casino mobile app for iOS and Android devices. You can sign up to the site by filling out a registration form. Alternatively, you can complete your Argo Casino login procedure with some of your social media profiles like Facebook, Google Plus, and more. Argo Casino provides a range of payment methods, including Visa, MasterCard, Visa Electron, Neteller, Skrill, paysafecard, and Trustpay. Of course, you have Bitcoin as a payment option as well. Just an FYI, most bonuses like Argo Casino free spins, match deposits, etc. can be claimed by one person and one payment account number. If you have any inquiry regarding some of their features, you can reach their customer support team via live chat and email. Both channels are available 24/7. However, we recommend going through Argo’s FAQ section first, as it offers in-depth answers to dozens of questions. How Safe and Reliable is this Casino? Argo Casino is all about creating a secure gambling environment. Besides the standard user data protection policies, Argo also implements some top-notch security measures, most notably SSL encryption. However, they do have a quite long list of restricted countries, which is mostly a fault of some software developers. Should You Embark on a Voyage? If you ask us, yes. Argo Casino is a well-rounded gambling platform, offering both modern and retro casino fun, as well as sports betting. Additionally, their bonuses and software quality create an even better gambling environment. Of course, they have certain flaws, but as you can see from this Argo Casino review, they are nothing too drastic. But, of course, only you know if this casino is right for you or not.